ObGyn Physician to join a group of 11 ObGyn Physicians and 18 Certified Nurse Midwives serving urban, inner city patients in Indianapolis, IN. This is an Outpatient only, Monday - Friday position without any Inpatient or OB delivery work required. This position offers an excellent work-life balance for an experienced ObGyn who doesn't want to be working 24/7, weekends of holidays. 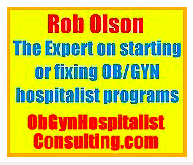 You would provide and oversee ObGyn care at one of 4 ObGyn locations. 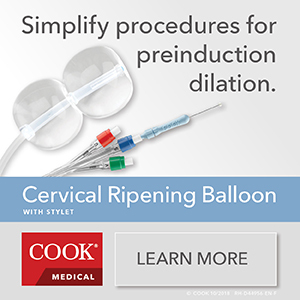 These practices are integrated with our Primary Care and other Providers. For delivery and surgery, our ObGyn patients are admitted to the largest hospital in the State. It is a quaternary care, academic health center (15th largest delivery system in the US) with a Level III NICU, Level 1 Trauma Center, and extensive subspecialty resources including an integrated Children’s Hospital. This position offers excellent benefits including guaranteed base salary (No RVUs), Incentive Bonus, 28 paid days off annually (33 days after 5 years) and 5 paid CME days/year. Also, comprehensive Medical/Dental/Vision/Life & Disability insurance, matching 401k retirement, Relocation expenses, No restrictive covenant, NHSC loan repayment possibility and more. HealthNet is a large FQHC (Federally Qualified Health Center) with a largely Medicaid patient population. Join over 50 Physicians in this integrated, multispecialty, non-profit primary care group that also includes Pediatrics, Internal Medicine, Med/Peds, Family Medicine, Psychiatry, Optometry, Dentistry and more. We are Joint Commission certified or accredited as a PCMH (Patient Centered/Primary Care Medical Home) & Ambulatory Care practice. Our mission is "To improve lives with compassionate health care and support services, regardless of ability to pay. Indianapolis (1.8M MSA) has excellent amenities - Vibrant downtown, professional theater, symphony, opera, arts, world class museums & zoo, NFL, NBA, WNBA, excellent schools & cost of living, and one of nation's largest half marathon. Proximity to Chicago. 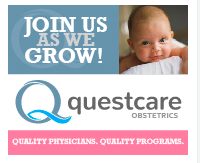 ObGyn Hospitalist to join our group of 11 ObGyn Physicians, 18 Certified Nurse Midwives, ObGyn Residents and others caring for urban, inner city patients in Indianapolis, IN. Our ObGyn Hospitalists care for ObGyn patients across the continuum of their care. Our ObGyn Hospitalists also practice and oversee ObGyn care in one of 4 ObGyn locations, which is integrated with our Primary Care and other Providers. They are actively involved in ObGyn Resident Education with the largest medical school in the US, Indiana University School of Medicine. 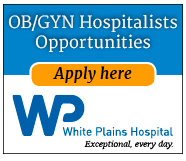 Nonetheless, with such a large group of ObGyn Providers, this position offers an exceptional work-life balance. We also offer excellent benefits including guaranteed base salary (No RVUs), Incentive Bonus, 28 paid days off annually (33 days after 5 years) and 5 paid CME days/year. Also, comprehensive Medical/Dental/Vision/Life & Disability insurance, matching 401k retirement, Relocation expenses, No restrictive covenant, NHSC loan repayment possibility and more. Experienced ObGyn Medical Director to lead our group of 11 ObGyn Physicians, 18 Certified Nurse Midwives, ObGyn Residents and others caring for urban, inner city patients in Indianapolis, IN. This position works to ensure the quality of ObGyn care provided for our 60,000 patients in both the outpatient and inpatient settings. It is 50% Administrative and 50% clinical. They practice and oversee ObGyn care in one of 4 ObGyn locations, which is integrated with our Primary Care and other Providers. For inpatient care they deliver and operate at the largest hospital in the State. It is a quaternary care academic health center (15th largest delivery system in the US) with a Level III NICU, Level 1 Trauma Center, and extensive subspecialty resources including an integrated Children’s Hospital. They are actively involved in ObGyn Resident Education with the largest medical school in the US, Indiana University School of Medicine. 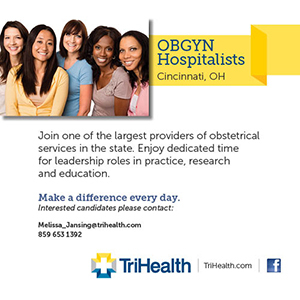 Nonetheless, with such a large group of ObGyn Providers, this position offers an exceptional work-life balance. Indiana University Health Physicians is seeking a compassionate, patient-centered OB/GYN Hospitalist to join their growing team at IU Health West Hospital in Avon, IN, a western suburb of Indianapolis. With a unique partnership with one of the nation’s leading medical schools, Indiana University School of Medicine, we are able to provide patient access to leading-edge medicine and treatment options. Our exceptional care and continued excellence has been recognized by U.S. News & World Report for the past 20 years. That means IU Health continues to be ranked among the best healthcare systems in the nation and the top healthcare system in Indiana. 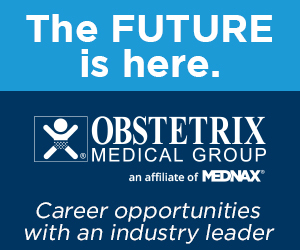 Description: Ob Hospitalist Group is seeking experienced, board certified OB/GYN physicians to join us in our program Terre Haute, Indiana. We are presently hiring full time hospitalists working between eight and ten 24-hour shifts per month. This position offers a $10,000 sign-on bonus. Competitive hourly rate rate varies by location. Flexibility in scheduling schedule is completed three months in advance. Malpractice coverage we cover you for all hospitalist work. Continuing Education Credits stay current with training support. W-2 Employee no need to save for taxes. Medical, Vision, Dental, and Life Insurance. Available FSA/HSA Savings and 401(k) Retirement Planning. Responsibilities include: OB/GYN triage, fetal monitoring, and gynecological emergency assistance, as well as, patient evaluation and management, delivery attendance, and surgical assists. Practice the medicine you love, while also experiencing the life you deserve. Our physicians appreciate the work/life balance the hospitalist lifestyle offers. If you desire to be in a different location, reach out to us regarding our other programs. As the industry's leading provider of OB hospitalist services, we are constantly partnering with new hospitals nationwide. With our rapid growth comes a demand for talented, passionate, safety-oriented physicians who share in our vision and dedication to women's healthcare. If that describes you, then we welcome you to learn more about joining the OBHG team. Barbara A. Matakevich, DO, FACOG. 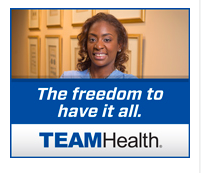 Description: I am currently working full-time training Ob/Gyn and FM residents. Current duties include outpatient clinic, L&D including large volume high-risk unit (co-management with MFM), gyn surgeries, ED and trauma coverage. Seeking to relocate. Dr. Matakevich can be contacted via email: [email protected] or phone 317-338-7923.